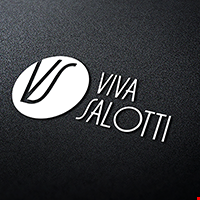 VivaSalotti began in 2008 in Boston, Massachusetts with an extraordinary idea of delivering top-quality contemporary furniture at tremendous value prices supported by great customer service. Guided by integrity, professionalism, family values, and determination to exceed our customers’ expectations, VivaSalotti is here to guide you through every step of selecting the best furniture for you and your family. VivaSalotii always keeps you up to date on the latest hottest trends and must-haves. We are constantly growing our inventory to provide you with fresh ideas and new finds each time you visit. Our unique shipping program offers fast delivery across East Coast and not only... Moreover, we offer free delivery оn аll purchases made within New England. When you're looking for a sofa or a chair, comfort and durability must come first! With our range of cozy sofas, bedroom sets and many other pieces we can guarantee that you'll find it! The pricing policy that we have put in place makes affordability a centre point... While for some people quality means sky-high cost, for us the balance between these two is reached easily. Thank you for letting us be a part of your journey!